The two blocks that Sellen Construction is building for the next Amazon expansion was my focus on Sunday. 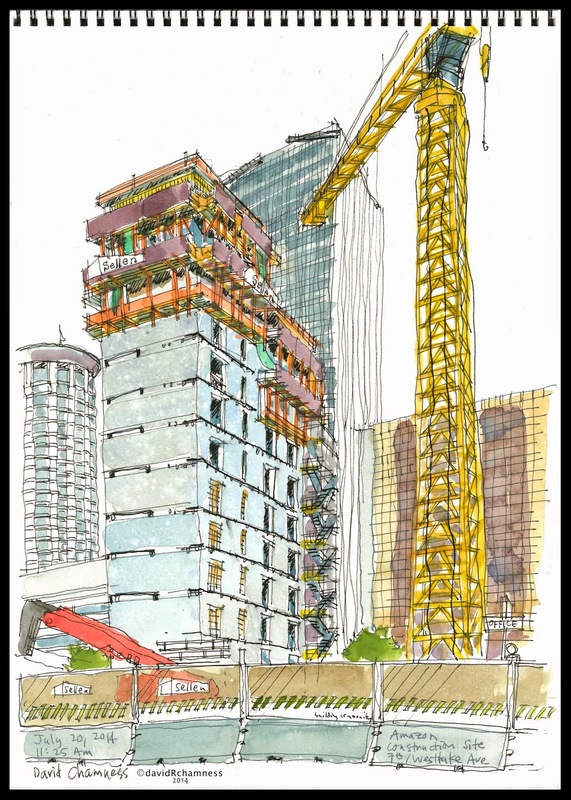 The first sketch is the concrete elevator & stairway core that will be the main structural element for the new high-rise. 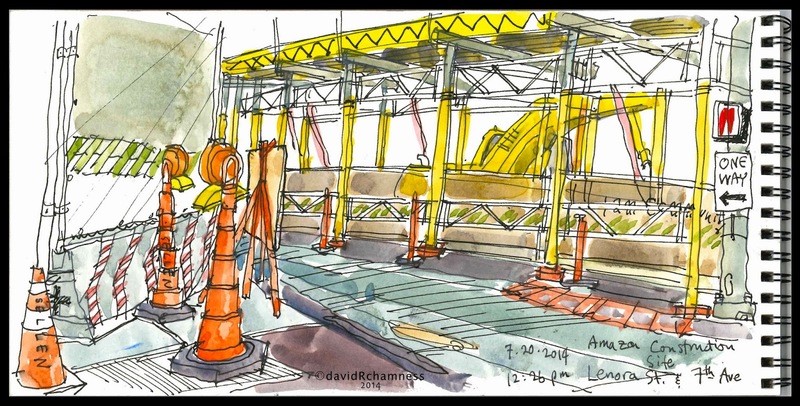 The second is of the sidewalk on Lenora St. where they have scaffolding, cones and other safety elements to protect the pedestrian walking the block between 6th & 7th Avenues.